Place pork ribs, garlic and onion in slow cooker. Spoon about half of the pineapple with some of the juice over ribs. Reserve remaining pineapple and juice. About 35 minutes before serving, drain and discard cooking juices from slow cooker; wipe edge of slow cooker clean. 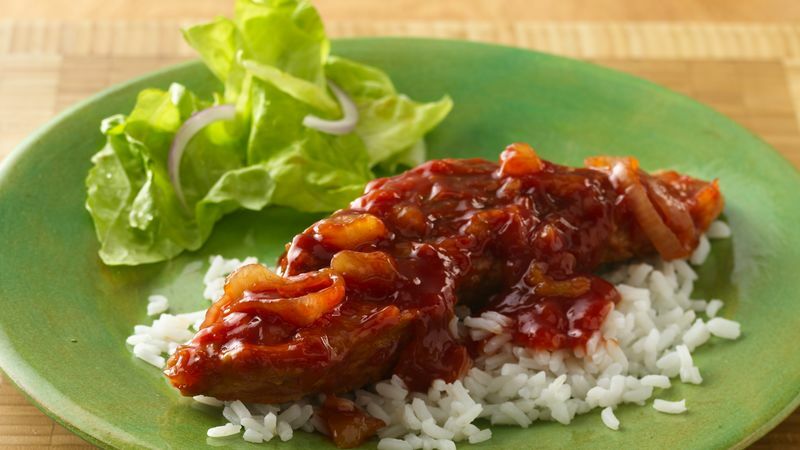 In small bowl, mix ketchup, brown sugar, hoisin sauce, gingerroot and remaining pineapple with juice. Spoon or pour evenly over ribs. Increase heat setting to High. Cover; cook 25 to 30 minutes longer or until ribs are glazed. Serve with rice. If you don't have fresh gingerroot on hand, use 1/4 teaspoon of ground ginger instead.